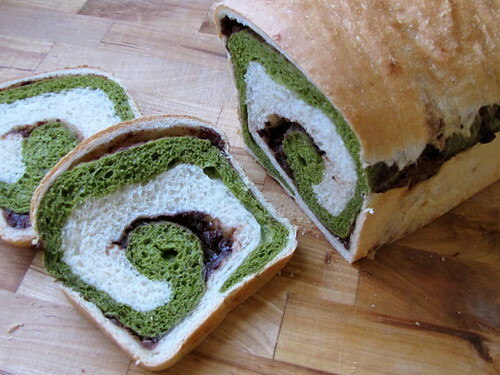 Food Friday: Matcha and Sweet Azuki Swirl Bread ~ I Can Do That! makes me wanna grab some! it's beautiful! looks delicious, want to have some! i can relate with your dilemna, my earlier post was a messed after i moved from blogger to wp, never-ending editing, still not yet done...doing it slowly! hehehe! anyway, was here for a late visit from food friday and i am wishing you a blessed week! That looks wonderful. I have yet to be successful with filled bread.